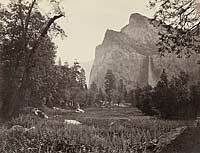 3004 Pohono, or the Bridal Veil, (900 Ft.), View from the Black Spring, Yosemite Valley, Mariposa County, Cal. 3005 A glimpse of the Bridal Veil, Yosemite Valley, Mariposa County, Cal. 3054 The Bridal Veil from the Black Spring, Yosemite Valley, Mariposa County, Cal. 3055 Pohono, the Bridal Veil, 900 feet, Yosemite Valley, Mariposa County, Cal. 3056 Pohono, the Bridal Veil, 900 feet, Yosemite Valley, Mariposa County, Cal. 3057 Pohono, the Bridal Veil, 900 feet, Yosemite Valley, Mariposa County, Cal. 3058 Pohono, the Bridal Veil, 900 feet, Yosemite Valley, Mariposa County, Cal.